The French Roast Organic was blended and roasted for you by Mela Coffee Roasting Company. 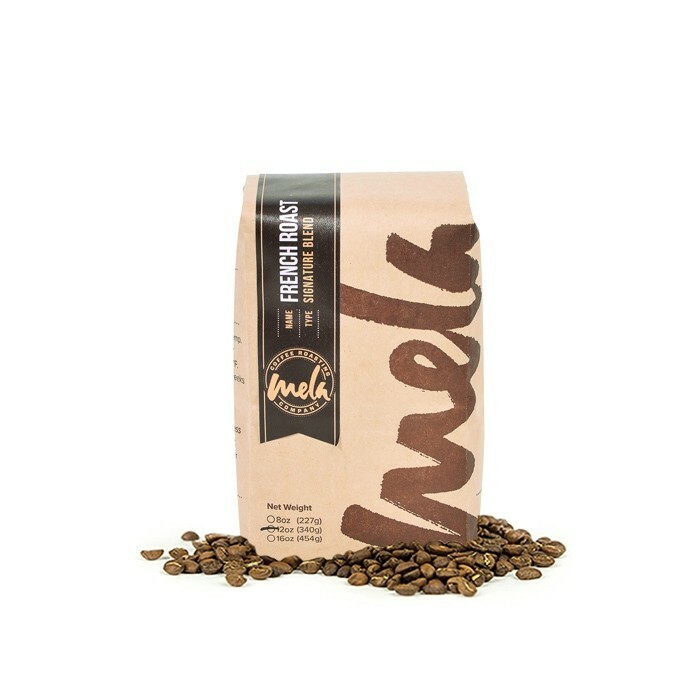 Mela's version of a French Roast features high quality coffees from Honduras. This medium dark roasted blend isn't the typical French Roast you might be familiar with. While still developed in a way to create a roasty boldness, this is a balanced blend that's comforting and familiar, great for enjoying on it's own or with a splash of cream. First, it's tough to follow the Dillano's double dark, imo. That said, this is roasted much lighter than I prefer and I would not order it again. I'm sure that for those whom enjoy a lighter roast it would be fine. I'm not sure there is anything wrong with it: I just prefer something else. This is my favorite French roast. It gives a subtle chocolate-caramel hint and adds body to some of my medium blends. I liked it but not as much as Tony's. This was slightly tart. I'm looking forward to finding the coffee that will "Knock my socks off." A little bitter and roasty, but not as strong as you would expect. Cocoa notes. It tastes acidic to me. It’s not the dark roast flavor that I normally enjoy. Really good! Definitely not as bold or overbearing as some French Roasts can be. I've tried in a drip brewer the first few times but enjoyed the chocolate flavor a lot more as a pour over. I may try it again soon as a French Press to see what that reveals. Either way, I can see me drinking and ordering this again.